Adaptive yoga focuses on what you can do rather than what you can't, making yoga accessible to everyone. Learn more about the many benefits. Three classes are offered weekly at three convenient, accessible locations around Duluth, MN. Click to view our class schedule. Enjoy helping others? Want to support your community? Learn more about our volunteer and teaching opportunities. Adaptive yoga classes focus on the movement, breathing and guided relaxation elements of traditional yoga, while adapting these practices for people with physical disabilities. True North Adaptive Yoga is a wellness program in the Duluth/Twin Ports area that focuses on what people with disabilities can do vs. what they can’t. True North seeks to make the benefits of yoga practice accessible to every body. 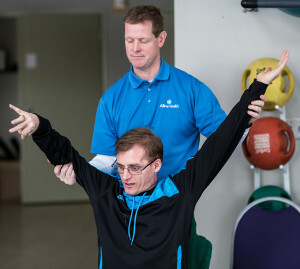 True North Adaptive Yoga recognizes the importance of building community, safety and good habits for personal well-being.